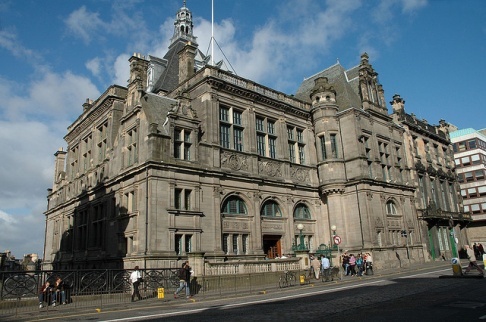 The Edinburgh and Scottish Collection is one of the specialist subject departments of the Central Library. It hosts a wealth of local history as well as information sources for other areas of Scotland. It offers around 12,000 items for loan and more than 100,000 for reference with works from the 16th century onwards. Access to items is completely free and available to everyone. Apart from the vast array of books, the Collection includes periodicals, maps, prints, and photographs. Some of the items are rare or even unique, such as Dr. I. F. Grant's Highland Life photographs, or manuscript genealogies compiled by their authors and deposited with the library. The majority of material is in English, but there is also a large collection of Gaelic resources. The staff deal with enquiries from all over the world either in person from some of the half a million annual visitors to the Central Library, or by e-mail and letter.